A gorgeous white glass pearl and crystal beads on memory wire. A full five decade rosary that you wear wrapped around your wrist! This elegant combo is gorgeous all year long from casual to fancy. 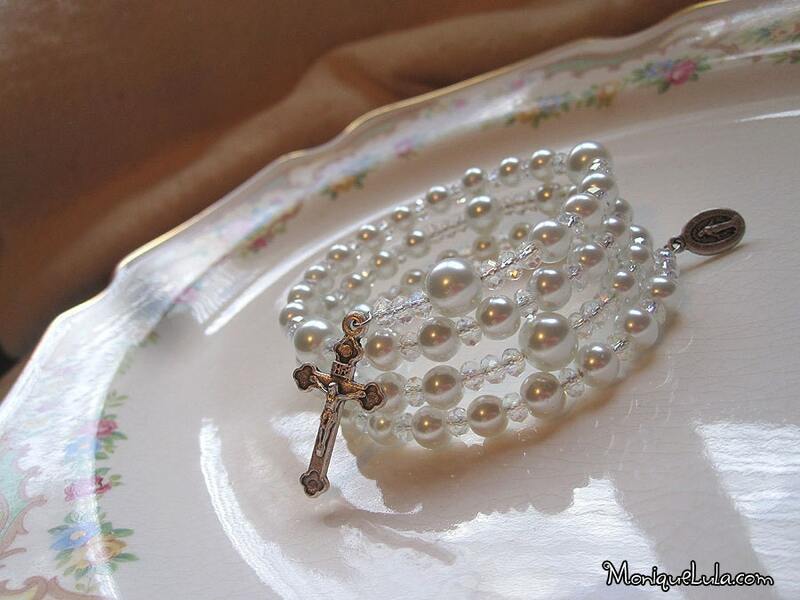 This entry was posted in beads, birthstone, bracelets, catholic, crystal, rosary and tagged bracelet, crystal, pearls, rosary, rosary bracelet. Bookmark the permalink.